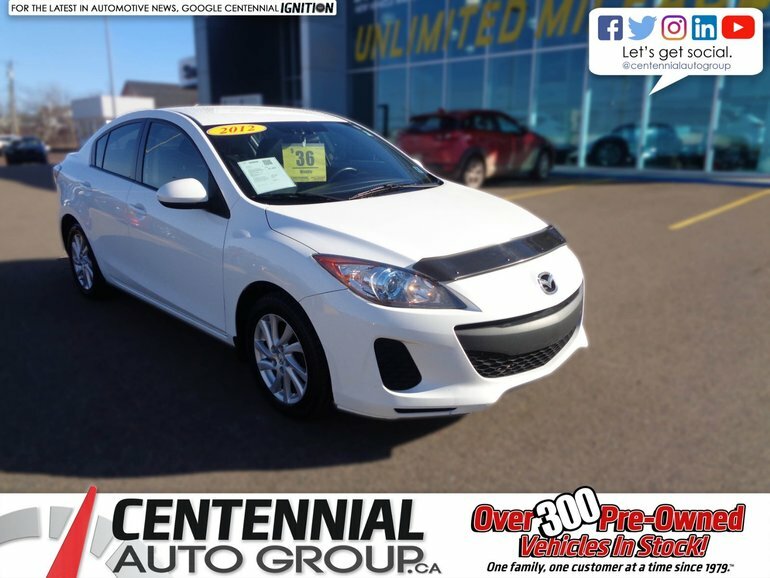 Fun to drive, fuel efficient, and affordable – it's a winning combo with this 2012 Mazda 3 GS sedan. Stepping up to the GS provides a number of gains, from upgraded audio to a leather-wrapped steering wheel and Bluetooth. There's also keyless entry, air conditioning, alloy wheels, rain-sensing wipers, heated mirrors, and auto headlights. 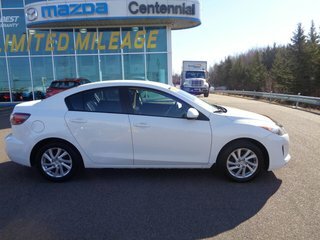 Thank you for your interest in this Mazda 3 GS located at Centennial Mazda, 402 Mt. Edward Road, Charlottetown, PEI. We look forward to hearing from you – call us toll-free at 1 (877) 339-6031. 2.0L I4 FI DO - 4 cyl. 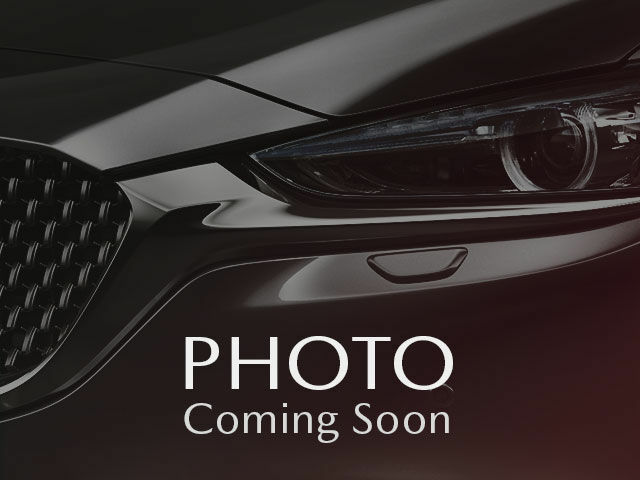 Interested by the 2012 Mazda 3 MAZDA3 **AS LOW AS $36.00 WEEKLY PLUS TAXES** | **Financing available for almost all credit situations** ? ** Taxes, shipping and preparation not included. Does not include current promotions. 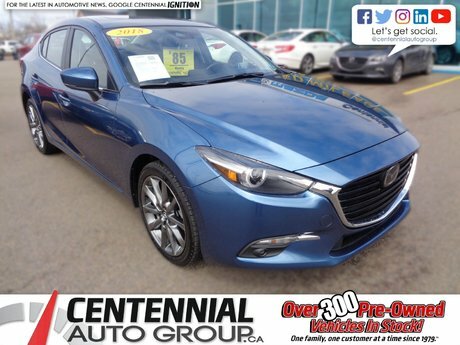 I wish to receive recalls, news and promotional emails from Centennial Mazda.